Happy International Day of Peace to All! Born in Berlin, Germany in 1970. At age five, his IQ was found to be one of the highest ever measured and at age seven, he began to study physics and biochemistry. In 1983, he was diagnosed with a disease doctor’s labeled incurable, which compelled him to direct his focus on holistic healing. Over the next six years, Christian Opitz developed a new integrative theory of health based on quantum physics and fractal mathe-matics. In 1989, he began a successful career as an author, lecturer, and inventor of health products. He has since developed a groundbreaking new approach called “Original radiance Health Systems”, which integrates live food nutrition, whole brain functioning and depth psychology. 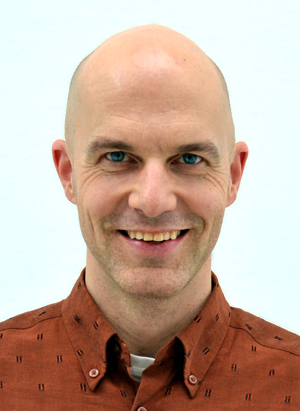 Christian Opitz is on Board of the Directors of “Project Theo humanity”, which provides new, mature paradigm of emotional healing and spiritual enfoldment and is also involved in various environmental projects. Mitchell and Christian initially met and became friends at Golden City, India where both were studying at Oneness University in 2004. They have since been together many times since, in Germany, L.A. and NY for workshops, TV and radio programs. Mitchell’s guest this evening is Annie Kagan, most recently, author of the fascinating book The Afterlife of Billy Fingers. Annie began writing songs at the age of fourteen. At fifteen, she was signed by a producer from Columbia Records. At sixteen, she was performing in New York City cafes and clubs. After ten years as a songwriter and performer, Annie returned to college, graduating with honors, and became a Doctor of Chiropractic with a successful private practice on Manhattan’s Upper East Side. When her brother Billy died unexpectedly and began speaking to her from the afterlife, her future took a surprising turn. 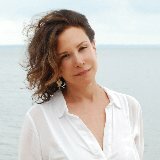 She has beautifully combined her talents as a lyricist, performer and healer in order to touch the lives of others with Billy’s communications from the other side in her debut book :”The Afterlife of Billy Fingers”. The fascinating, true story of her on-going, after death communication with her brother Billy is recounted in her debut book: The Afterlife of Billy Fingers: How My Bad Boy Brother Proved to Me There is Life After Death. Mitchell’s second, or arguably third, guest this evening is Director, Writer and Producer Barnet Bain. Jesus (translated into more than 1,000 languages, The New York Times noted the film may have become the most watched movie ever), and The Celestine Prophecy. Select producing credits include: the Oscar winner What Dreams May Come starring Robin Williams and Cuba Gooding Jr, Conspiracy of Fear (HBO) starring Christopher Plummer, Timelock, Apocalypse and Dark Planet (Sci-Fi Channel), Quantum Project starring Stephen Dorff and John Cleese (first Hollywood motion picture to be produced exclusively for global Internet distribution), The Celestine Prophecy(based on the #1 international bestselling novel), The Linda McCartney Story (CBS), Homeless to Harvard: the Liz Murray Story (Lifetime) receiving a Christopher Award and Emmy Award nomination for Outstanding Made for TV Movie of 2003. Select directing credits include: The Lost and Found Family (Sony Affirm & Sony Pictures Home Entertainment). Upcoming productions include: Buddha shooting in India and Nepal with director Pan Nalin, Richard Bach’s Illusions for Warner Bros and Milton’s Secret: An Adventure of Discovery through Then, When, and the Power of Now based on the book by Eckhart Tolle and Robert Friedman. In the second half of today’s show Barnet will speak with Mitchell about his latest film project based on the work of Eckhart Tolle and Robert Friedman. Watch the TV shows in Manhattan every Tuesday at 10:30PM EDT on ch.57 (RCN: ch.84 / Fios: ch.35). Annie Kagan’s book The Afterlife of Billy Fingers, a true story of her relationship with her brother in life and after ‘life’, is, ironic as it may sound, one of the most uplifting books about the relationship of life and death you may ever get your hands on. A book about death uplifting… has Mitchell lost it? Not at all folks, not at all. A wholly intelligent, credible woman, professional, with medical degrees and credentials, sound and sane and maintaining (for a while) her own sense of skepticism, reports a series of experiences which occurred to her and a writer’s group in which she participates, that provides “third party verification” if you will, of her “dead” brother’s communications with her and with a few people in the group, which lets you know that “dead” is not at all “dead” as we have been led to think about it. In fact, you’ll find some people walking around in bodies who would qualify as “more dead” than Billy Fingers even without a body. Annie’s book is written with lightness, humor and a very generous serving of love. While there are many books written on the subject of the afterlife, by many credible authors, several of whom are physicians, such as Dr. Raymond Moody, neuro-surgeon Dr. Eben Alexander, et al, this one captures a spirit of ‘the space’ of the dimension that is, to me, oh so very real. I have recommended this book to people who are either elderly and wondering about what the next phase of life, commonly referred to as “death” is all about. Or to those who feel fear around the subject, which probably includes many, if not most people. And to people who have loved ones who are very ill and are facing death. I have recommended Billy Fingers because it so brings an element of joy to a subject that is usually shrouded with darkness, intensity, a feeling of profound fear and loss. Our public education around death is probably less than that of even love, integrity or character-building. Everyone ignores it until they can’t any longer and as a subject and as an experience for the one dying and those around this person, it has been so marginalized, making the situation even worse. In other words, when can we lighten up about death? When can we as individuals and as a collective, bring another level of thought and consideration to this most important subject? When can we consider that perhaps death is but a passage just as birth is? I believe that it was Eckart Tolle who said that “death isn’t the opposite of life but the opposite of birth.” I would say that this is a much more enlightened way of contemplating this passage. Billy Fingers brings such a lightness to a subject that is otherwise so dark, a humor even that is so absent from our somber sonorous, grieving ways…make no mistake, grieving is a very healthy experience, I honor it. There is a lot of grieving in life, largely for the way we treat those less fortunate than ourselves and in all the ways human inflict pain on one another–this truly deserves grieving as well as corrective action. As a society, we really do need to radically transform our relationship to death and surgically remove the fear component that currently is embedded. It’s my view that, according to my old friend and teacher of Taoist thought and T’ai-Chi Chuan, Bob Lumisch, we should all be walking around with death on one shoulder, to remind us of the preciousness of life. We should not lose sight of it so to ‘enliven’ life. And we should savor life and seek to extend it to the max, yet when life in the body begins, if it does, to slip away, that we then embrace, as we did life, this next “birth” into another realm. The Tibetan Buddhist view is that to the extent that we can remain conscious and allow the transition, we will ascend to “The Luminosity” the Great, Cosmic Light, and thereby enrich our soul to the max. What wonderful ideas! Tune into my interview with the author of The Aftermath of Billy Fingers and you’ll see why this book can help to change people’s perspective on the process of ‘dying’ and see that there’s nothing to fear but much to lovingly and openly embrace. Hulo Films announced today a crowdfunding campaign launch via Indiegogo, to support MILTON’S SECRET, a live-action dramatic feature film based on the book by #1 New York Times bestselling author Eckhart Tolle (The Power of Now, A New Earth) and Robert S. Friedman (Publisher of Conversations with God), and starring Academy Award nominee and Golden Globe winner, Peter Fonda. Starting September 24th, Tolle fans and supporters of his books will have an opportunity to co-create a feature film based on Tolle’s teachings by contributing to its production at www.SupportMiltonsSecret.com. Vancouver Based Hulo Films decided to turn to Indiegogo’s crowd-funding platform to help build awareness of the project and offer fans the opportunity to get involved, while protecting the integrity of Tolle’s message. MILTON’S SECRET is a coming of age story about an 11-year-old boy growing up in an economically depressed suburb, and the elder quest of his grandfather. His mother and father are workaholics with marital and financial problems, and he is being bullied at school. When his grandfather visits, Milton learns that rehashing the past and worrying about the future are preventing him from finding true happiness in the Now. Barnet will be joining Mitchell this week for the second half of this week’s A Better World Radio Show to discuss the fine points of the film. If you like the idea of participating in some manner through the crowd-funding, you’ll have more knowledge about what this film–and fund-raising process–is all about. 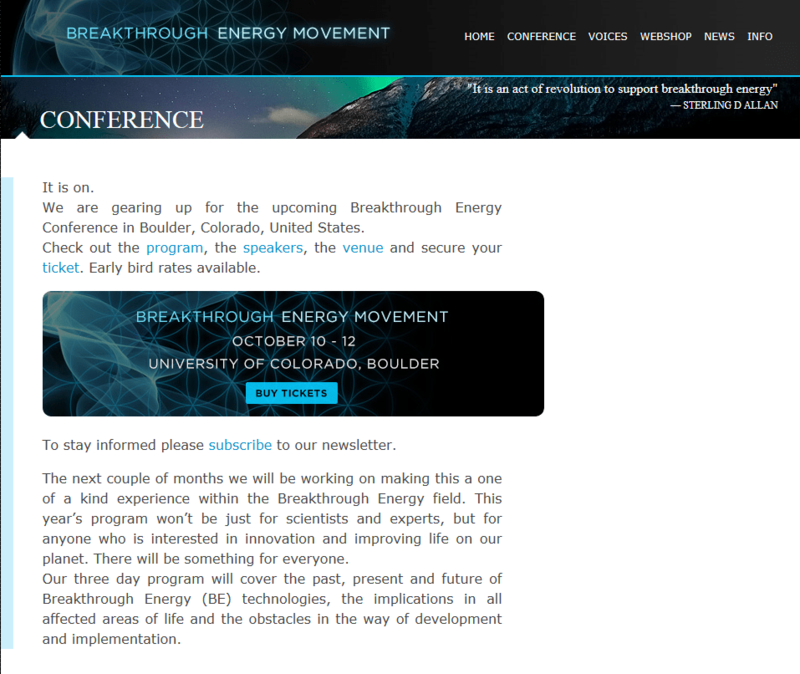 This year’s Breakthrough Energy Movement will be held on October 10-12 at the University of Colorado in Boulder, Colorado, United States. 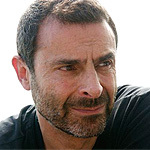 Mitchell Rabin will be one of the speakers and co-moderator of the daily panels with friend and colleague, Sacha Stone. A Better World has made available a Hand-Held, Portable Water Filter which you can take wherever you go. It’s the size of a plastic, toxic bottled water bottle, but it’s made of high-grade poly-propylene (does not leech), BPA-free of course, or stainless steel. You’ll be drinking filtered water every time for a drop in the bucket compared to the cost of bottled water, which also bottles up the environment, endangering fish, dolphins and toxifying land-fills. Become part of the solution through A Better World. Just click on the bottle here or on our website, www.abetterworld.tv. You’ll be helping your health, our environment, A Better World and your pocketbook all at the same time. For over two years now, Mitchell, invited by Arianna Huffington, has been writing for the Huffington Post. The subjects range from how to deal with stress to socially-conscious business, from challenging hydro-fracking to how to develop sustainability, green-thinking and humanity in the new-paradigm corporation & society. Then there is Mike Adams’ www.naturalnews.com which is another place where I’ve published articles on Health, Stress, Total biology and Wellness, a site that tells so much about what’s really going on in our society, you really don’t want to miss it! Go to: www.huffingtonpost.com/mitchell-j-rabin for a list of all the blogs/articles and http://www.naturalnews.com/Author_Mitchell_Rabin.html for articles I’ve written there. And after reading, comment away! I love to hear from you and learn from your feedback. It helps us grow. Yes, the good, bad & ugly.